Golfers strive for the perfect swing, hoping to drive the ball with power and accuracy. However, even the slightest flaw can result in disaster. 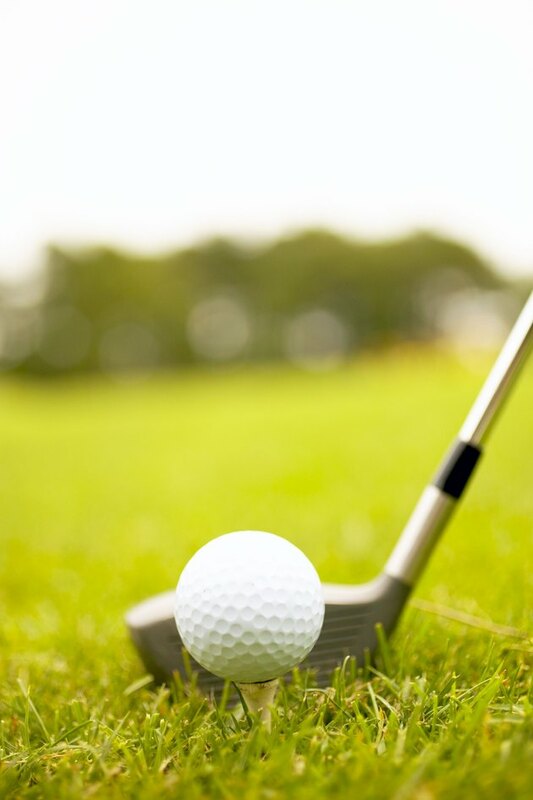 Failing to make square contact with the ball can result in a shank, which describes a shot that goes wildly to the side, flying away at a sharp angle from the golfer. Shanks occur most often when using irons on chip shots. A number of different factors can cause a shank. Holding your club so that the face points too far left of target or even flat while at the top of your backswing will often lead to a shank. Once the club achieves such an extreme position, you'll have difficulty swinging through and making square contact with the ball. To fix the problem, use your shoulders and arms rather than just your hands to pull the club back into your swing. This will help keep the club vertical and parallel to the target. If you straighten up or lift your upper body during your back swing, it will cause you to swing flat and push the ball into a shank. Crouching too much when addressing the ball leads to trouble, too. Remember to maintain correct posture, standing tall with a slight knee bend. Your knees and back must not move up or down. Moving your lead shoulder forward and to the left while coming through on your swing creates a looping motion and increases your chances of shanking the ball. Taking the club back with your shoulders, arms and hands working together can help solve the problem, as can turning your hips and shoulders in your backswing. Pointing your chin behind the ball until impact will keep you from moving forward and also help prevent looping. Even standing too far from the ball can promote shanking because it forces you to reach for the ball and to swing your arms away from your body. If drifting too far from the ball becomes an issue, addressing the ball on the heel of your club can help you adjust to the proper distance. Gripping the club with your left hand turned too far to the right, so your left thumb rests on the inside of the club grip, may cause your club face to open and shank the ball. Simply turn your left hand more to the left to correct the problem, making certain your left thumb sits on the top surface of the club grip.